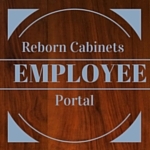 The Reborn Cabinets Mission is to provide the "Ultimate Remodeling Experience" for our clients with quality and service unparalleled by any other remodeling company. Our team is growing every day! Check out our locations, and watch this list grow! 2017 Reborn Cabinets Company Picnic! scatter slots on Walk It Off: Week 8! THE BIG BONUS CHALLENGE! simslots free slots on Walk It Off: Week 8! THE BIG BONUS CHALLENGE! Listen to Vince Nardo, (President of Reborn!) speak on the history of our company and answer, “What is Signature Refacing?” on AM600 KOGO in San Diego! Posted on March 1, 2016 March 1, 2016 Author rbcportalCategories Reborn Blog! Previous Previous post: Reborn Employee Barbeque! Next Next post: Guardian Dental Plan Perks!